The bathymetry of the area of study. The time series of geostrophic transport of the NBC and its retroflected flow are estimated across transect #1. 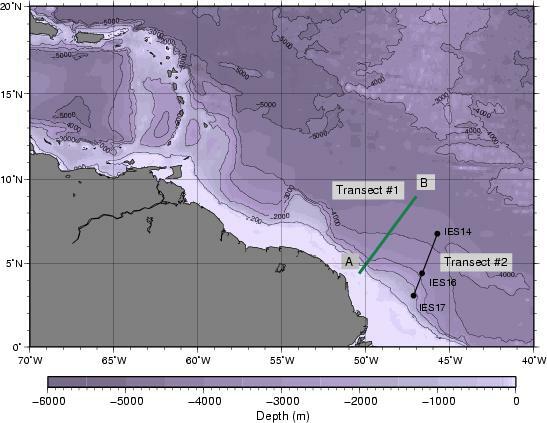 The geostrophic transport of the NBC retroflected flow (only) is also estimated across transect #2 to compare with the results of the NBC Ring Experiment.